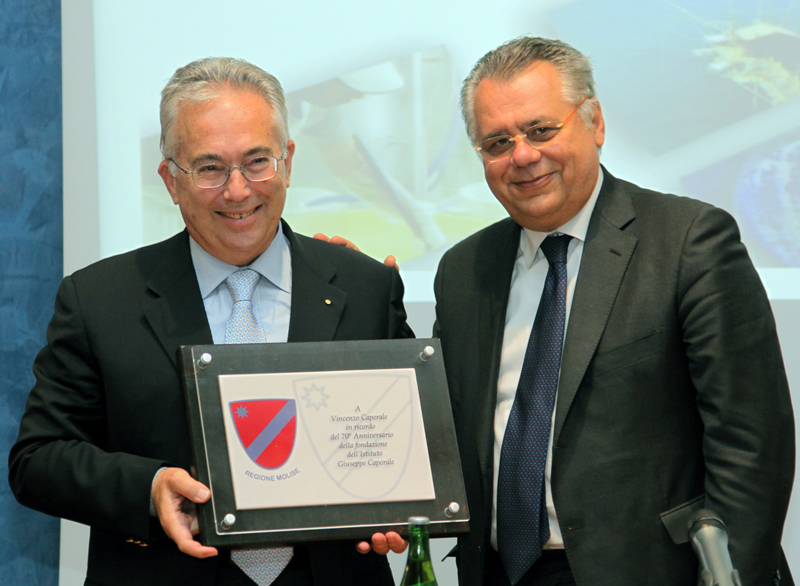 Michele Iorio presented Prof. Caporale with a commemorative plaque to celebrate the Institute's 70th anniversary. 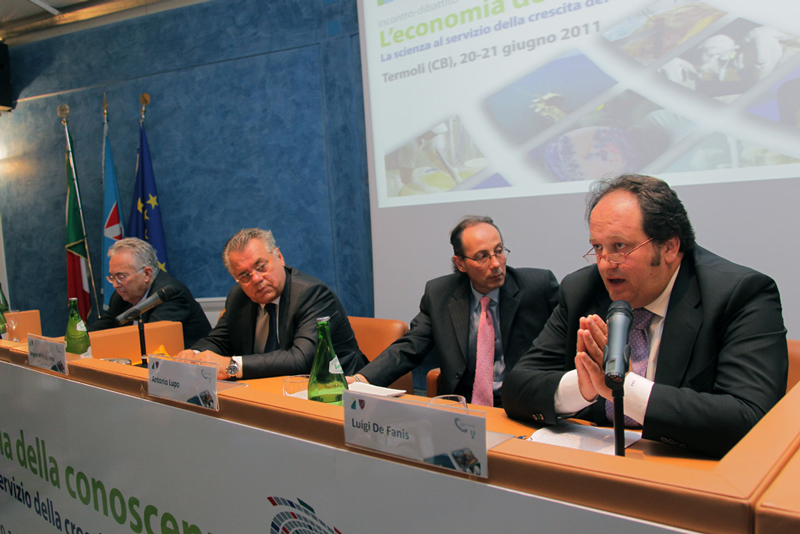 Following the debate "Knowledge and economics - science at the service of local growth" held in Termoli (Campobasso) on 20-21 June 2011, the President of the Region of Molise, Michele Iorio, presented the Istituto G. Caporale Director Vincenzo Caporale with a commemorative plaque to celebrate the Institute's 70th anniversary. "As President of the Region of Molise, I am delighted to present Prof. Caporale with this recognition of the Institute's activities to stimulate the region's economic, social and cultural growth," said Iorio. 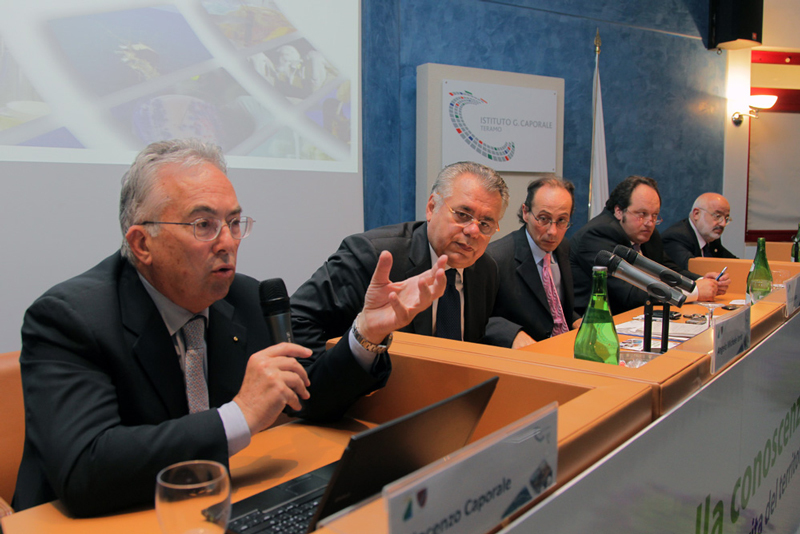 "We are proud of and honoured by the presence of such an authoritative Institute, renowned worldwide for its expertise in the area of public health, enabling the development of agricultural industry and guaranteeing the safety of both humans and the environment." 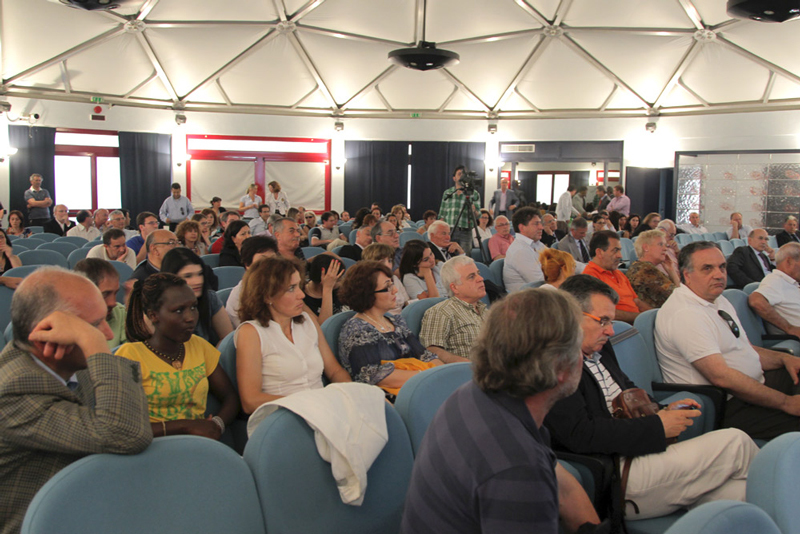 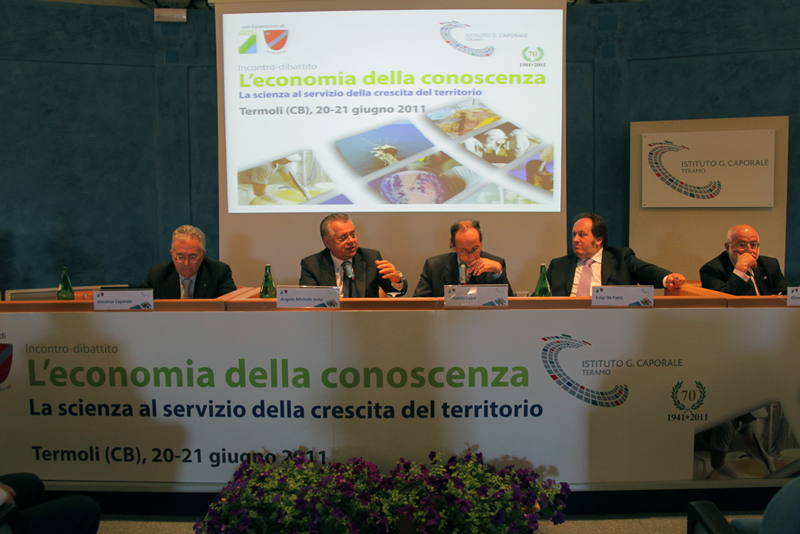 The Region's Budget and Planning Councillor, Gianfranco Vitagliano, also stressed the importance of the 20-year cooperation between the council and the Istituto G. Caporale, aimed at safeguarding and stimulating the local economic network, guaranteeing the quality and safety of produce and providing technical and scientific support for farms.